Sadio Mané, a name that has been on many football fans’ lips this season. 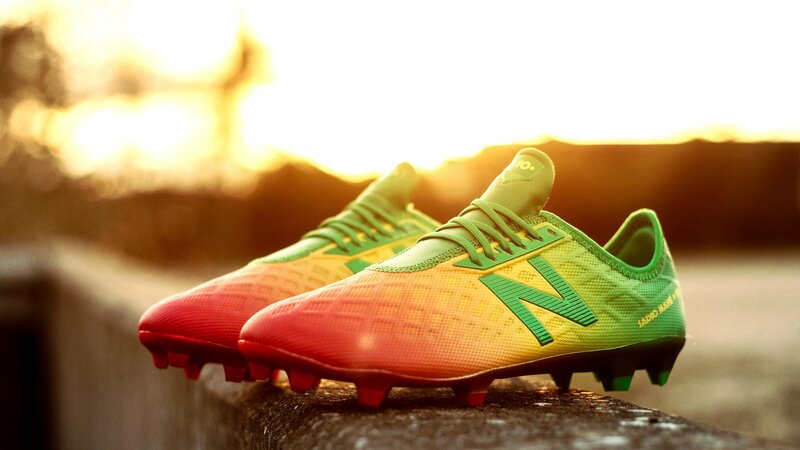 New Balance has made a new Furon boot, which gives tribute to the main man, by using this colours of Senegal’s flag. The combination is truly stunning, so keep on reading to learn more about the boots. Sadio Mané has been one of Liverpool’s main players this season. He continues he’s performance from last season, while adding more goals, and showing bold skills. To tribute his performance, New Balance has made a brand new Furon 4.0 colourway, inspired by the colours of Senegal’s flag. New Balance gives Sadio Mané a boot that stands out as much as himself, making him more special than ever before. New Balance has almost taken the Senegal flag and placed it on top of the Furon 4.0, the details are so good, that they might have made their best colourway so far. The Furon is divided into three colours, as you see on the Senegal flag. This means you get a heel part made in green, midfoot made in yellow and forefoot made in red. The new Balance branding on the midfoot and tongue is also made in the same green colour. New Balance has also added Sadio Mané´s number 10 onto the tongue, while Sadio Mané and number 10 is written on the heel. But the most outstanding thing about this boot is without any doubt the soleplate. The colours from the upper continues onto the soleplate, giving you a nice and shiny soleplate made as the Senegal flag. And this soleplate might just be one of the best soleplates, that I’ve ever seen, so I can only say: Good jo New Balance, good job indeed! Are you interested in getting one of the best New Balance fooball boot? Then you can secure your Limited Edition Furon 4.0 Sadio Mané from tomorrow at 10:00 CET exclusively at Unisport.